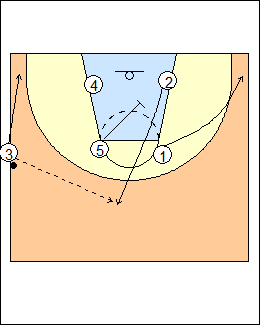 1 sprints to the weakside corner, 5 downscreens for 2, 3 inbounds and cuts to the ballside corner. 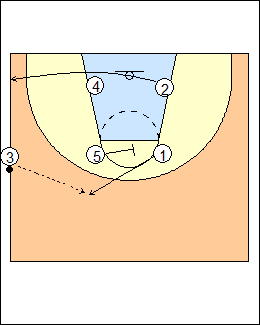 5 sets a step-up ballscreen and rolls, 4 replaces. 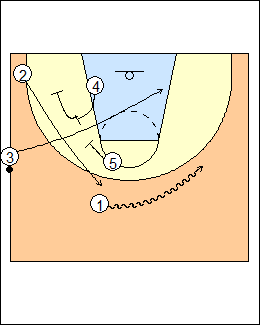 2 clears to the ballside corner, 5 screens for 1, 3 inbounds and clears opposite. 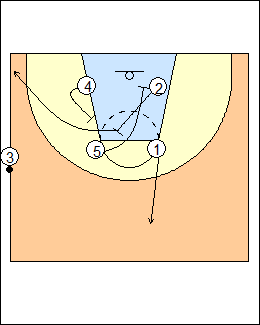 5 ballscreens for 1 then 4 and 5 stagger screen for 2. 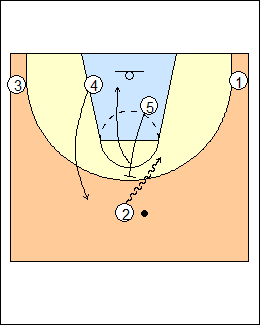 1 pops out high, 2 backscreens for a lob pass to 5, 4 wheels out and screens 2 to the corner for a shot. 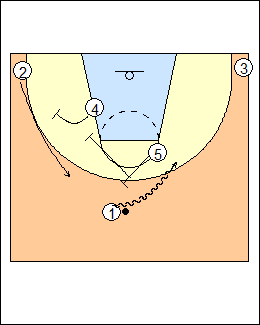 4 shapes up to the ball for the inbounds pass, looks for a high-low pass to 5 ducking in. 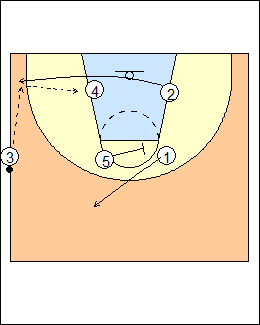 2 clears, 5 screens for 1 to get the inbounds pass. 1 dribbles across, 3 shuffle cuts to the low post using 4's screen, 4 and 5 stagger screen for shooter 2. 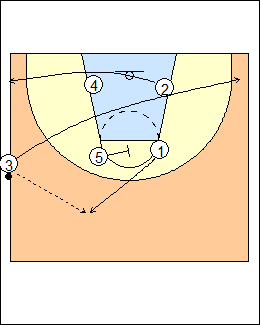 2 clears, 5 screens for 1, 3 hits 2 who looks to feed 4 in the post. 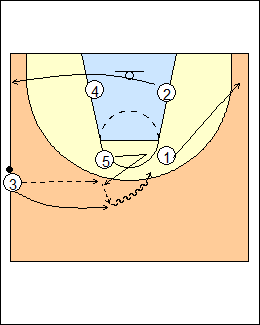 2 clears ballside, 1 clears weakside, 5 shapes up for the inbounds pass, 3 follows for a handback and looks to attack the rim. See sideline Fratello box 3.